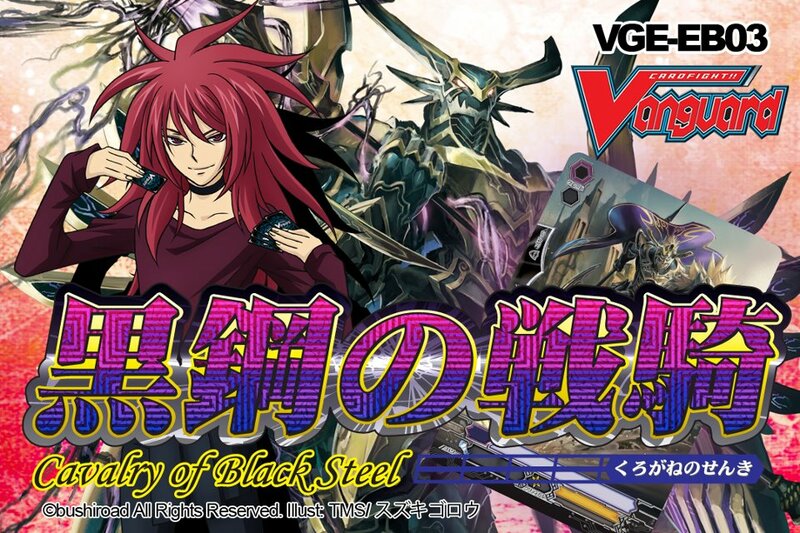 VGE-EB03 "Cavalry of Black Steel" has been announced on both the official Cardfight!! Vanguard Facebook page and on the official English website for a worldwide release of July 7th, 2012. Singapore will be getting the release seven days early, on June 30th. Notably, the English booster contains twelve additional cards not found in the Japanese set, 2 R and 10 C rarity cards. These are suspected to be several of the promo cards currently missing from the English scene.